When you first notice the signs of a leak is the best time to call ADI to help you. The longer you wait the worse the problem will get and eventually you’ll wind up repairing a lot of water damage to your property. Our engineers use cutting edge natural gas leak detection equipment to locate your leak regardless of where it is on your property. And because our teams work in such an efficient way we can pass that on to you in the form of extremely competitive pricing. 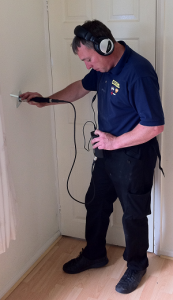 ADI can, of course, help with your leak issue no matter where you live in the UK. 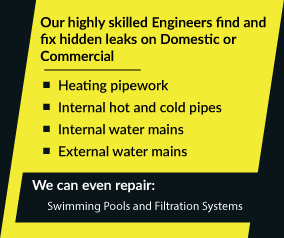 Call us now on 08007313843 and one of our friendly and knowledgeable engineers can help you take the next step to being leak free.